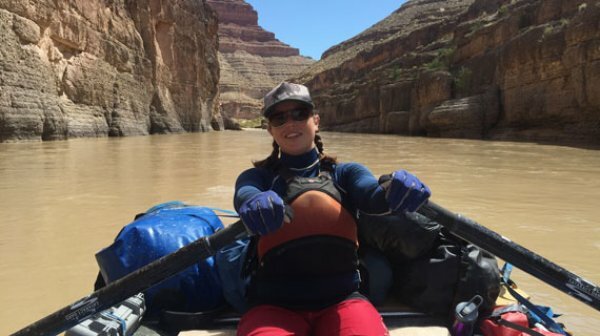 Dr. Kelly Goonan is the program coordinator and assistant professor of outdoor recreation in parks and tourism at Southern Utah University. 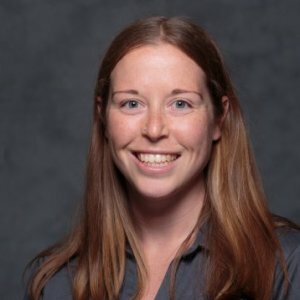 A self-described “hybrid recreation ecologist/recreation social scientist”, her expertise is in management of outdoor recreation, natural resources and protected areas. Dr. Goonan’s research interests include recreation impact analysis, park sustainability and visitor disturbance projections. She has published academic papers in various national journals, including the Journal of Park and Recreation Administration and the Journal of Environmental Management. Dr. Goonan also teaches for Semester in the Parks, an SUU program where students can earn up to 18 general education credits in classes taught on-site at Bryce Canyon National Park. Dr. Goonan earned her bachelor’s degree in environmental studies and Spanish with a minor in outdoor recreation from St. Lawrence University. She earned a master’s degree in natural resources from the University of Vermont and a Ph.D. in human dimensions of ecosystem science and management from Utah State University. Vesely, who is majoring in outdoor recreation, completed this paper for her class ORPT 2040: Americans in the Outdoors. After Vesely saw a notice announcing that UReCA was accepting submissions for their journal, she decided to submit her paper with the help of Professor Kelly Goonan. Recreation Impact Inventory, Monitoring and Assessment, Arizona Strip District, Arizona. This research was designed to identify indicators of quality and formulate associated standards of quality for social and recreational resource conditions for the coastal back country of Kenai Fjords National Park. The Effect of Minimum Impact Education on Visitor Spatial Behavior in Parks and Protected Areas: An Experimental Investigation Using GPS-Based Tracking. Journal of Environmental Management. Kidd, A.M., Monz, C., D’Antonio, A., Manning, R.E., Reigner, N., Goonan, K.A., Jacobi, C.
This research aimed to reduce impacts resulting from lack of knowledge both about the consequences of one's actions and impact-minimizing best practices. Goonan, K.A., Monz, C.A., Manning, R.E., Anderson, L.
Anderson, L., Manning, R.E., Monz, C.A., Goonan, K.A., Valliere, W.
This study focuses on indicators and standards of quality for paddling on the lake along a non-motorized kayak and canoe trail. Van Riper, C. J., Manning, R. E., Monz, C. A., & Goonan, K. A. This research examined the relative importance of indicators and standards of quality at three mountain summits in the Northern Forest. The three summits ranged from low to high levels of use, development, and management. Computer-generated photographs were used to present a range of resource, social, and managerial conditions in a stated choice survey. Manning, R., Valliere, W., Anderson, L., Stanfield-McCown, R., Pettengill, P., Reigner, N., Lawson, S., Newman, P., Budruk, M., Laven, D., Hallo, J., Park, L., Bacon, J., Abbe, D., van Riper, C., Goonan, K.
The purpose of this paper is to suggest that management-by-objectives frameworks used in contemporary park and outdoor recreation management can be useful in defining, measuring, monitoring, and managing the sustainability of parks for outdoor recreation. Monz, C. A., Marion, J. L., Goonan, K. A., Manning, R. E., Wimpey, J., & Carr, C.
Students will engage in learning activities to develop the critical thinking, problem solving, and research skill-sets necessary to investigate complex interdisciplinary questions and problems thoroughly. Examines human values, uses, and management of natural settings at the individual, community, and societal levels. Principles of wildland recreation management including: characteristics of recreation use and users, introduction to planning concepts, management of wildland recreation facilities and infrastructure, and integration with other natural resource uses. This course examines the social, psychological, and geographic influences on human behaviors in outdoor recreation settings. An emphasis is placed on current research and critical challenges affecting recreation management. A course designed to provide students with the knowledge and skills to plan, implement, and evaluate interdisciplinary outdoor education programs that promote environmental literacy in wilderness, community and education settings utilizing inquiry and experiential education teaching methods. Examines the effects of outdoor recreation activities on biophysical resources. Students with review current knowledge concerning impacts of recreation on wildlife, plants, soil, air and water resources, and ecological processes. Students will also learn and practice methods for assessing and monitoring resource conditions. Organization, administration, and evaluation of outdoor recreation programs. Topics include: Planning, programming, evaluation, budgeting, human resources, risk management, policy, & procedures. The Organization and Administration lab provides students with an opportunity to apply the processes and information from the ORPT 4740 into their own program. The lab will include implementation of a program plan and an in-depth evaluation of that program. This course is designed to give outdoor recreation majors and minor experience leading, teaching, and developing skills in the outdoor recreation field.